69 rides including two all-new attractions for 2018, Lumberjack and Flying Canoes! Great Live Entertainment and an exciting Special Events Line-up! Don’t miss brilliant fireworks displays on the following dates: Canada Day – Sunday, July 1st, Civic Holiday Weekend - Sunday, August 5th, and Labour Day Weekend – Sunday, September 2nd. In the fall, Halloween Haunt returns for 15 terrifying nights and Camp Spooky, the Park’s family-friendly event returns every Saturday and Sunday in October! 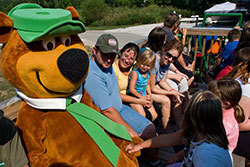 Discounted Canada’s Wonderland Tickets from Jellystone Park™ Toronto! 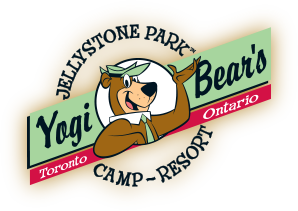 Yogi Bear's Jellystone Park™ is an Authorized Canada's Wonderland Ticket Outlet. You can save time and money by purchasing your Canada's Wonderland tickets at Jellystone Park™ before heading out to Canada's Wonderland. 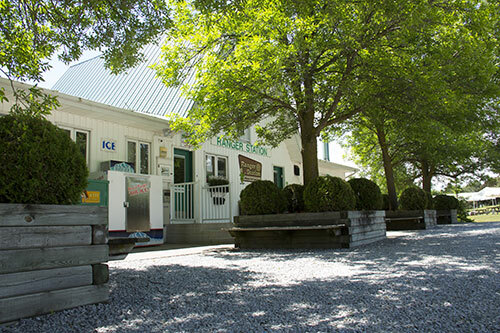 We’re also the closest campground to Canada’s Wonderland. For more information call (905) 832-7000, or check out the Canada’s Wonderland website. Note: Prices are applicable for the full Canada’s Wonderland Season. In 2018, the season runs from April 29th to October 28th and are in Canadian dollars. Please note that once you have purchased your tickets they are non-refundable. Other coupons or special offers may not be used in conjunction with these special ticket prices. 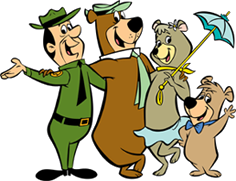 Yogi Bear's Jellystone Park™ does not sell season passes. Season passes are only available directly from Canada's Wonderland. Prices subject to change without notice. Errors & omissions excepted. 2-Day Canada's Wonderland Tickets must be used by the same person. The ticket will require a signature to be signed AT THE CANADA'S WONDERLAND FRONT GATE. If the ticket is signed before, the ticket will be void to its user. 2-Day tickets do NOT need to be used two consecutive days in a row. Canada's Wonderland Tickets are not valid for Halloween Haunt & Dinosaurs Alive! For general inquiries call Canada's Wonderland at (905) 832-7000.